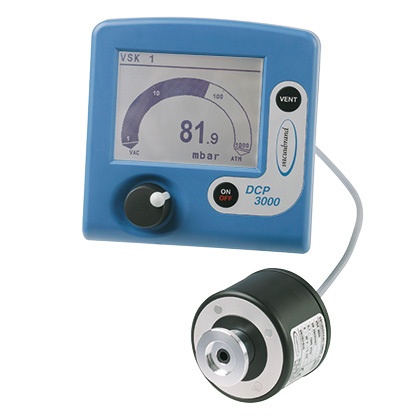 Product and ordering information for DCP3000 Vacuum Gauge. 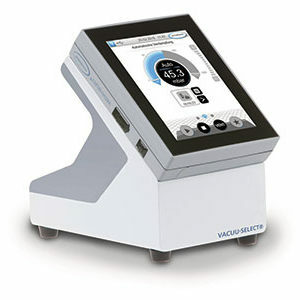 Electronic vacuum gauge utilizes VACUUBRAND’s VACUU•BUS system to monitor up to 4 transducer sets. 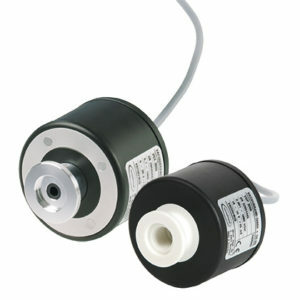 Measurement range 1080 – 5×10-9 mbar (sensor dependent). 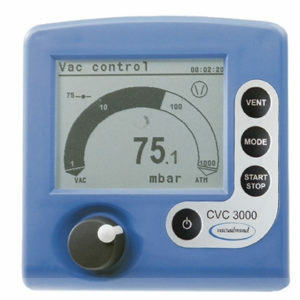 The VACUUBRAND® DCP 3000 is a fully electronic absolute pressure vacuum gauge for measurements in the rough and fine vacuum range. 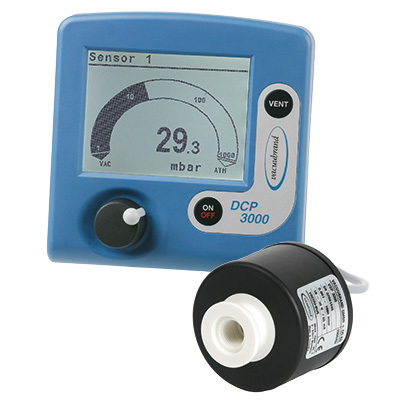 The DCP 3000 + VSK 3000 uses a capacitive transducer to provide gas independent pressure readings from atmospheric pressure to 0.1mbar/torr/hPa, while the DCP 3000 + VSP 3000 uses the Pirani principal of thermal conductivity to provide a wide measurement range from atmospheric pressure down to 10-3mbar. For measurements down to 5 x 10-9mbar, the DCP 3000 is also available with the combined thermal conductivity/cold cathode (Pirani/Penning) vacuum sensor MPT 200. VACUU•BUS "plug-and-play" technology allows simultaneous connection of up to eight vacuum sensors (up to four of one type). 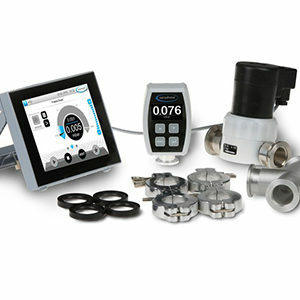 The displayed pressure can be measured in your choice of units - mbar, hPa, or Torr. Digital and analog displays provide both precise readings and trend indication. A "turn-and-push" jogwheel interface allows for easy navigation of menus. The set includes 100-230V / 50-60Hz universal power supply with US, CEE, UK, CH and AUS plugs.